The Obesity Policy Coalition (OPC) has renewed calls for legislation to restrict the marketing and advertising of junk food to children – a move the Australian Association of National Advertisers (AANA) calls groundless. 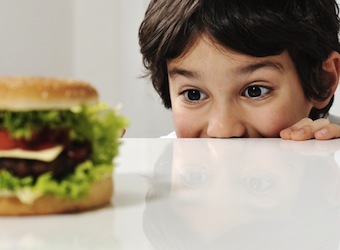 The OPC, which includes the Cancer Council, Diabetes Australia and VicHealth, has called on state and federal governments to introduce tougher guidelines on junk food advertising amid claims that self-regulation isn’t working. It claims a recent investigation into the issue found the current system allows children to be actively targeted by ads at a time when childhood obesity is at record levels. The AANA, however, calls the report produced from the investigation lacking in evidence. “Once again the OPC has produced a document with no new evidence or data to suggest that advertising contributes to unhealthy outcomes and conveniently matches its pre-determined agenda,” AANA’s acting chief executive officer, Alina Bain says. Executive manager of the OPC, Jane Martin, says the detailed analysis conducted shows the various self-regulatory codes that govern the industry have “resolutely failed” to protect children from junk food advertising. “The codes themselves are seriously flawed, administration and enforcement of the codes are inadequate, and, finally, despite the food industry introducing more codes two years ago, there is no evidence any of these have reduced children’s exposure to unhealthy food advertising,” Martin says. The OPC says the codes are too complex, confuse the public, suffer from a conflict of interest and are administered inconsistently by the various review agencies such as the Advertising Standards Board (ASB). The AANA says the self-regulatory system for advertising and marketing communications is effective and is underpinned by a responsive and transparent complaints handling system. “The ASB provides a one-stop shop for consumers for all complaints about advertising and marketing communications but the OPC is intent on misleading the public into thinking it is all too hard to figure out where to lodge a complaint,” Bain says.